The Client: Established in 1885, Foulds is a leader in the pasta industry, manufacturing major national retail brands of pasta and National Food Service products in addition to many other natural and organic products. They have an artisan-like production team with an average tenure of 23 years and use traditional, old-world, quality driven manufacturing processes. Foulds has developed and brought to market some of our country’s most recognizable brands. The Close: DVS approached Foulds as a potential target for a Buy-Side search that DVS was conducting on behalf of a former CEO of a pet food manufacturing company. When Foulds’ objectives did not align with the controlling interest acquisition objective of the buyer client, Foulds in turn hired The DVS Group to help restructure the company’s debt. Foulds’ bank at the time was not willing to restructure the company’s existing debt. 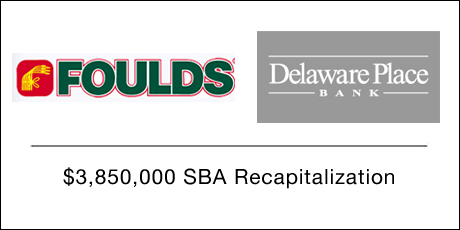 DVS approached multiple lenders and helped Foulds reach an agreement with the lender that combined the ideal size of bank, the best terms, and access to growth capital needed to fulfill future contracts. ← Paige Technologies, LLC Recap.